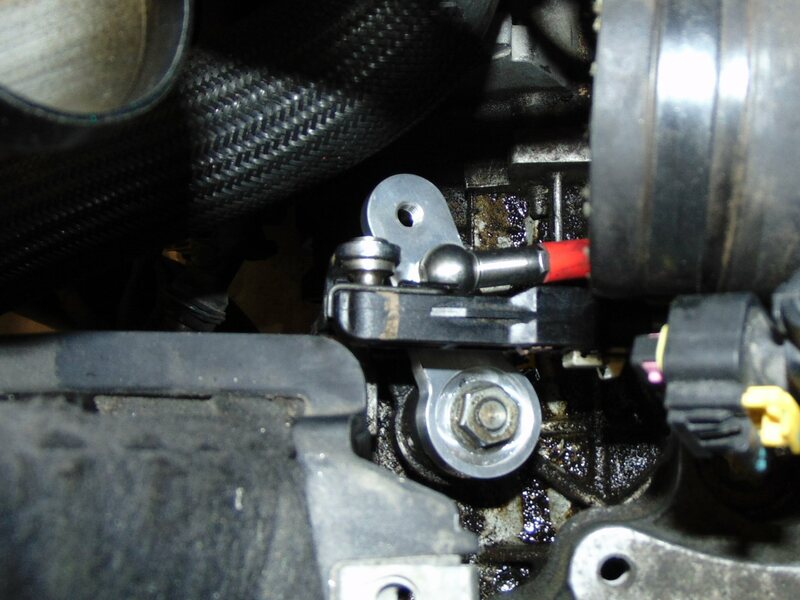 Ever since replacing the mostly-missing shift control rod (tension strut) bushing on the trans in our '13 Dart Rallye, we've been eyeballing the shift control ARM (the thing the rod connects the shift lever to) as a way to shorten shifter throw. I first drilled and tapped a hole in our OE arm to see where the ideal mount point would be. By then, we had replaced our polyurethane bushing with a complete stainless steel shift control rod, (p/n PF1MTSLNKS). 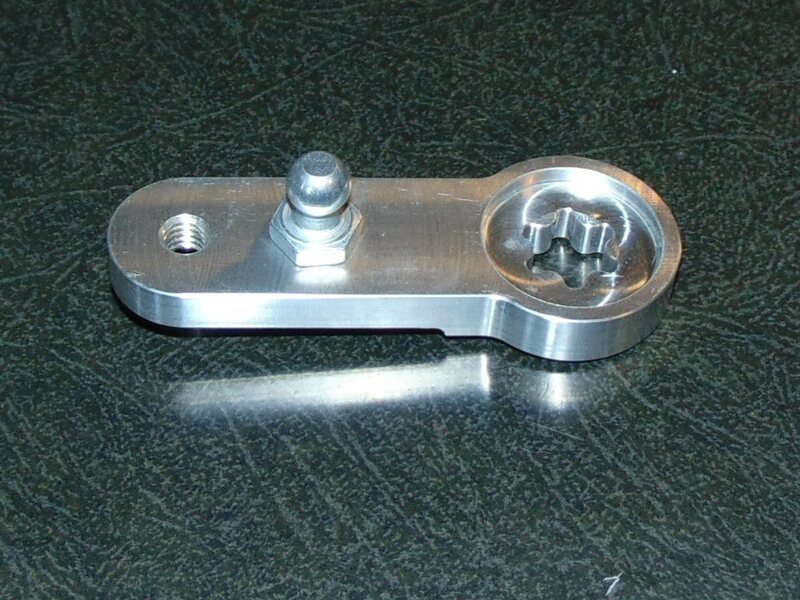 We went through some minor revisions and had a few samples machined of a new billet aluminum shift control arm. More tiny rework and revisions, and it was finally ready for production. We now have an adjustable Shift Control Arm, with an OE-length and short-length throw. Construction is billet aluminum with steel ball stud. It's both LIGHTER and STRONGER than the piece it replaces, and works with the OE shift control rod and ours. Because the holes in our Shift Control Arm are individually threaded, there's no concern about slippage or twisting the part like you might get if it had one long slotted hole. Changing the throw is as easy as unscrewing the stud and moving it to the other hole, with no need for removing the arm from the trans or the rod from the arm. The arm can be purchased alone, or you can buy it with our SS Shift Control Rod, which will save you $10, making our version the most AFFORDABLE way to shorten the shift throw in your Dart! And while I'm pretty happy with the shifter height, this would probably make an awesome combo mod with the MPX short shifter, too! This looks pretty solid! One last big question you forgot to answer on everyone's mind... How much? and one question on my mind is Will it work with a pre-existing short throw shift arm? Like the ones made by Craven Speed or Modern Performance? Last edited by Exitus04; 07-09-2018 at 08:02 AM. Just like the Shift Control Rod, sold by itself, it's $49. If you buy both the Rod and Arm, you get $10 off - so instead of $98, it's $88. Shipping is discounted when they're purchased together, too. The MPX short shifter is in the console, not on the trans, so the two parts should work fine together. Same with the CravenSpeed unit, from what I've seen. I haven't tested either one with ours to know the exact change in throw, but if it's too extreme as a combo, you can move the ball stud from the center to outer position to see if you like it better (without going through all the remove/replace steps, since the stud is threaded and not pressed on). Last edited by DeyemeRacing; 08-15-2018 at 02:26 PM. Ordered both of these today! Can’t wait to install! @DeyemeRacing if am not mistaken, is the shift rod not compatible with the newer darts? I have a 15 and I remember buying the bushing and seeing that my shift rod was entirely different than what was on the previous models, and what's pictured. I am assuming if I took it off, I would be able to use the new one though, but was not sure. This is pretty awesome though. If this was compatible with my car I will probably look into buying it. I will have to take a look, but I am pretty sure the small side that connects to the shift control arm would be the same. It's not that it isn't compatible, but that if you have one of the rare small-on-both-ends versions of the OE rod, our SS Shift Control Rod doesn't have the same advantage of eliminating the bushing (since yours doesn't have the bushing in the first place). The rest of what's around it is the same, though, with ball studs on the shift control arm and weighted lever. 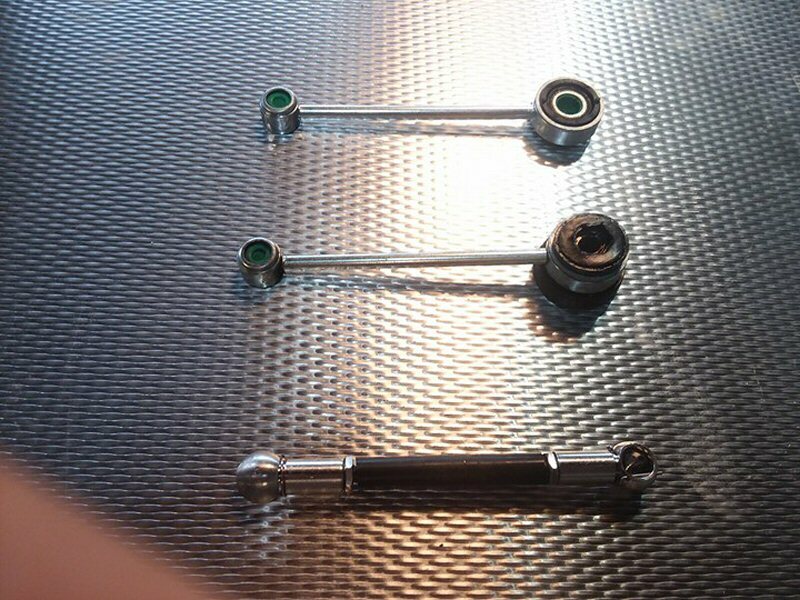 So, you could still get our shift control rod if you wanted extra attention to detail for show (ours has silicone sleeve available in different colors) but we also sell the rod and arm as separate pieces for those like you, who don't need the rod, or others that have already bought ours or a new OE replacement. So, you can buy one, the other, or both, the way we have them listed on our website. Will you be making the trip to Midwest this year? If so I will definitely pick one up there! My bushing was just starting to tear so I just installed both the arm and rod this past weekend. Easy to follow instructions. I already had the Craven short throw and decided to use the short throw point on the new shift arm as well. With the reduced leverage, you need to push/pull a little harder to get into gear but there's a noticeable difference in the throw and solidness of the shift. Unfortunately, no. Events fall into our advertising budget, which we've already exceeded for the year with races and shows. Hopefully it'll be a little closer next year, and we'll be able to make it back again. All times are GMT -6. The time now is 03:39 PM.